Every driver from Lowell to Haverhill knows that one of the most important things in life is the freedom to choose. The 2017 Nissan Rogue makes sure that this is always a possibility by providing drivers with more than a single trim level. Creating the 2017 Nissan Rogue in various trim levels allows each driver to handpick the features that work best for their lifestyle. 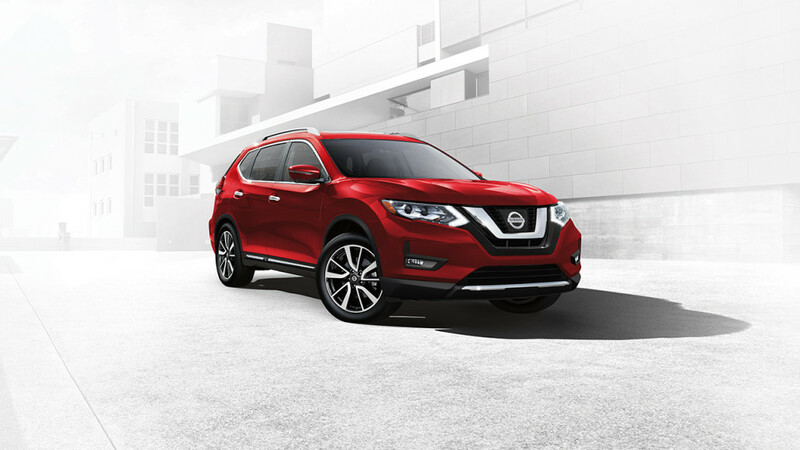 With a total of three individual trim levels to choose from, the 2017 Nissan Rogue one ensures that each and every driver interested in a unique experience have the tools that they need to make it through even the toughest battles. Every Rouge model comes with the promise of great fuel economy, outstanding performance, and a wealth of safety and infotainment features. However, every increasing trim level has something special of its own to offer drivers that the previous model may not. Take a peek below to see just a few of the great things you can expect with each model option. Rogue S – The first taste of the 2017 Nissan Rogue selection is the S model, a fiery little SUV that is able to provide drivers with plenty of functionality, power, and efficiency. Alongside a powerful and balanced powertrain that can provide 170 hp, 26 mpg city, and 33 mpg highway the Rogue provides drivers with great features like LED Daytime Running Lights, Eco Mode, Rearview Monitor, Advanced Drive-Assist Display, and Divide-N-Hide Cargo System. Rogue SV – The middle child of the lineup is the SV which is able to provide drivers with the same power and mileage as the S, but with a few extra features as well. Some of these features include 17-inch aluminum-alloy wheels, Nissan Intelligent Key with Push Button Ignition and Remote Engine Start, Blind Spot Warning, and Rear Cross Traffic Alert. Rogue SL – The final trim in the lineup also features the balanced engine available on the first two models as well as some incredible safety and convenience features. A couple of these added features include a Motion Activated Liftgate, NissanConnect with Navigation, Mobile Apps, and Services, Around View Monitor with Moving Object Detection, and Leather-appointed seats. Take some time out of your busy schedule to treat yourself to a unique 2017 Nissan Rogue of your own. With such a wide variety of personalization options available for the Rogue it’s easy to find a trim level that will suit your needs. All it takes to get started is a trip down to Commonwealth Nissan located at 1 Commonwealth Dr., just off of Interstate 495. We can also be contacted online or by the phone at (833) 360-3405.